The Racial Justice Act allowed death row inmates to challenge their sentences if they believed race played a significant role. North Carolina’s Supreme Court heard arguments Monday in the cases of four capital defendants who had their sentences commuted to life in prison under the state’s since-repealed Racial Justice Act (RJA). If the inmates lose, they could be sent back to death row. The Racial Justice Act, passed in 2009, allowed death row inmates to challenge their sentences if they believed racial biases played a significant role before or during their trials. The state legislature narrowed the law in 2012 before Republican Governor Pat McCrory signed a repeal of RJA last year. 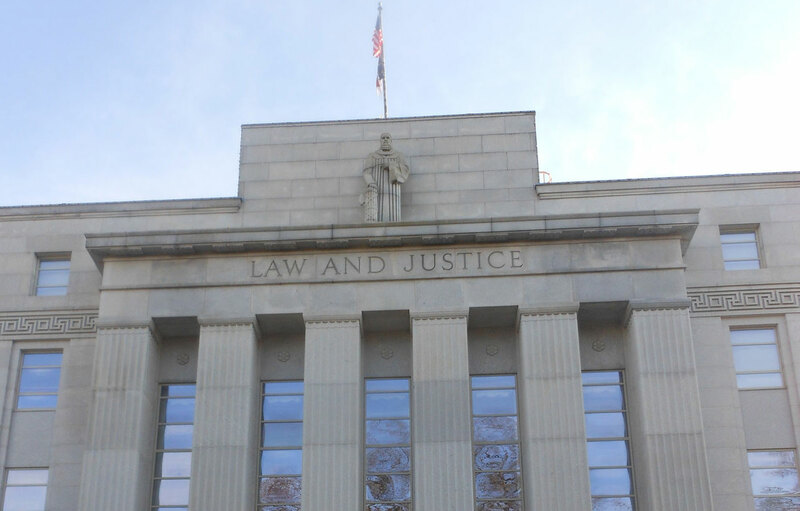 The state Supreme Court will review two separate cases involving three African-American men and one Lumbee Indian woman who all successfully argued in a lower court that racial biases affected prosecutors’ jury selection for their trials. The first case involves Marcus Robinson, who was the first prisoner to have his sentenced reduced under RJA, before it was amended to narrow the scope of permitted evidence proving racial discrimination. The second case involves Tilmon Golphin, Christina Walters and Quintel Augustine. Attorneys representing the inmates cited a Michigan State University study finding that prosecutors struck qualified blacks from serving as jurors in capital cases at nearly twice the rate of other races from 1990 to 2010. About 53 percent of North Carolina’s death row inmates are black, despite only making up 22 percent of the state’s population. Representing Tilmon Golphin, Quientel Augustine and Christina Walters, Attorney Jay Ferfuson presented handwritten jury selection notes from a prosecutor that suggested he viewed white and black jurors “through a different lens.” He described one potential juror as a “blk wino,” (sic) while another black juror from a “respectable” family was “ok.” Another prosecutor, when asked to explain why she struck some black jurors, read straight from a “cheat sheet” of defenses to accusations of discriminatory strikes. The high court’s decisions could have far-reaching consequences for the more than 150 death row inmates in North Carolina who have filed for relief under RJA. The state has not executed anyone since 2006. In a 2012 court order reducing the sentences of three of the defendants, Superior Court Judge Gregory Weeks explained the necessity of the Racial Justice Act.